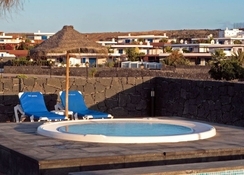 Bahia Playa Blanca is located in Playa Blanca on the popular Canary Island of Lanzarote. Each of the rooms at this hotel comes with its own private bathroom, air conditioning, hairdryer, free Wi-Fi, terrace or balcony and much more. Bahia Playa Blanca has an external hot tub for its guests to enjoy and an outdoor swimming pool, which is heated during the winter months. The hotel is also located close to the beach, which is perfect for the guests wanting to enjoy some of the water sports it has to offer. Some of these watersports include canoeing, surfing and sailing. 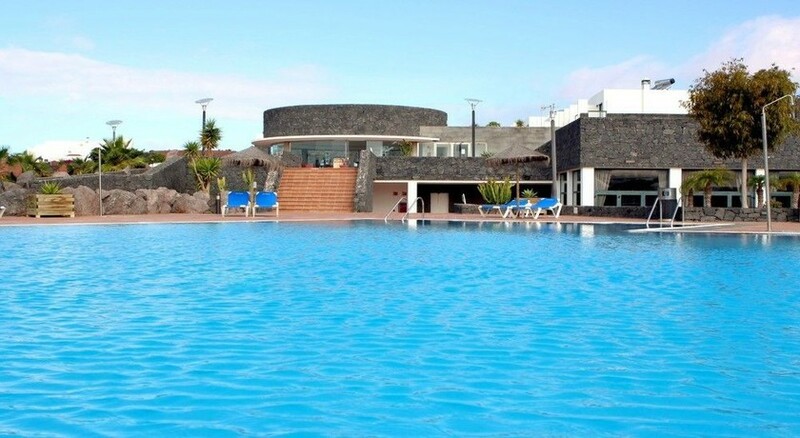 Bahia Playa Blanca also offers up free breakfast to each of its guests and has a poolside snack bar, which is ideal for the days when you only want a light lunch. This hotel’s prime location means that you’re not too far from bars and restaurants, which is ideal for the guests wanting to eat outside of the complex one evening. Some of these restaurants include Pizz Burger, Casa Carlos, Caprica Cheese, Carpe Diem and many more. Bahia Playa Blanca is also only 10.5 miles away from Timanfaya National Park, which offers up camel rides and a mountain top restaurant. You can also find many water sports and activities close to the hotel, which is perfect for those wanting to be adventurous and try something new during their holiday. 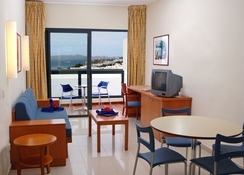 Bahia Playa Blanca offers up 8 types of rooms and apartments; these include Basic Triple Room, Basic Apartment, One-Bedroom Terrace Room, One-Bedroom Room, Apartment, Standard Two-Bedroom Terrace Apartment, Two-Bedroom Apartment, and Family Apartment. Each of the rooms and apartments come with its own private bathroom, TV and fridge, which is perfect for the guests wanting to cool drinks down in their room. The bathrooms include a shower, hair dryer and toiletries. The rooms also come with free Wi-Fi. Bahia Playa Blanca offers free breakfast for each of its guests and can be enjoyed in the garden. The hotel also has a restaurant and a poolside snack bar, which is perfect for the guests who don’t want to venture too far from the pool in order to have a light lunch. This hotel’s prime location also means you don’t have to walk too far in order to find a bar or restaurant outside of the complex. Some of the restaurants closest to the hotel are Casa Carlos, El Parque, Alfie’s Bar & Kitchen, Carpe Diem, and many more. 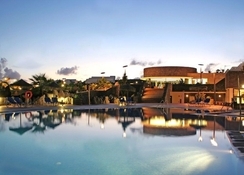 This hotel has a large outdoor swimming pool to offer its guests, which is also heated during the colder months. The hotel also has a hot tub, which is perfect for the guests wanting to relax and unwind during their stay at Bahia Playa Blanca. There are also other activities offered to the guests staying at this hotel. These activities include canoeing, surfing and sailing. There are also plenty of things to do in the surrounding area, such as visiting the Island Quest Escape Rooms, or Museo Atlantico Underwater Museum and much more. A very good holiday only a short walk to the beach close to local shops helpful staff very clean hotel and rooms. Good for kids. Recommended. Self catering with no appliances! As title states. We went self catering and the room literally had no appliances. Not even a little kettle. Nothing. Just a bed, table and chair, bathroom with hairdryer. Luckily there were a few shops and cafes a short walk away from the resort otherwise we would have paid to go inclusive.